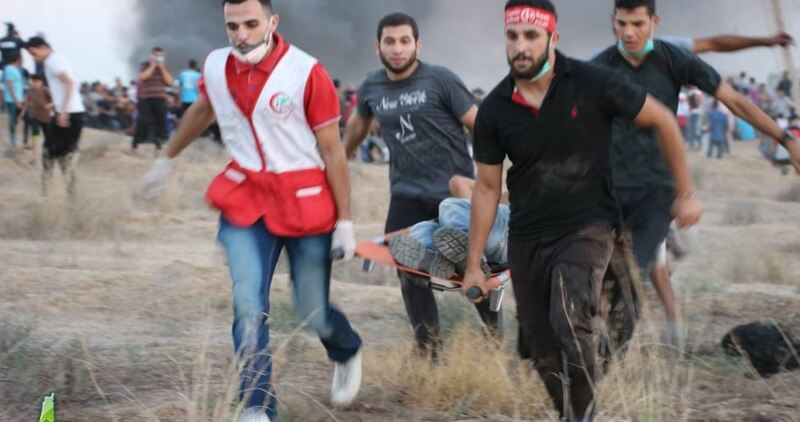 A Palestinian young man was injured on Monday evening when the Israeli occupation forces opened fire at peaceful protesters on Gaza border. The PIC reporter said that a Palestinian youth was transferred to the hospital for treatment after he was injured by a rubber-coated metal bullet to the head east of Gaza city. 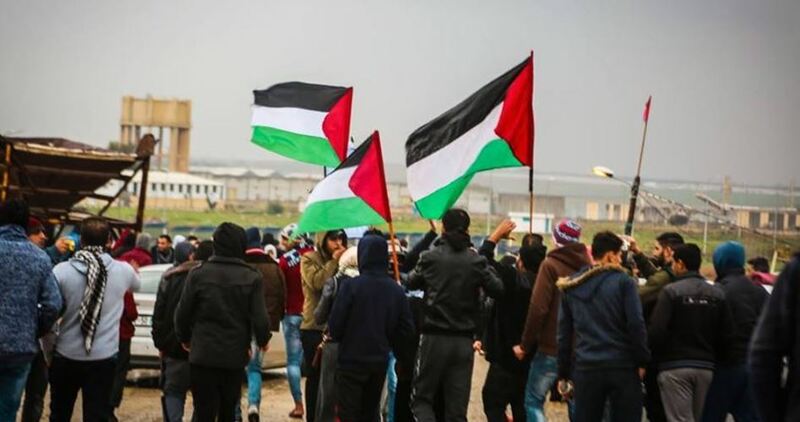 The Palestinians in the Gaza Strip, since 30 March, have been protesting on a daily basis along the border with the 1948 occupied Palestinian territories, demanding their right of return and calling for an end to the 13-year-long blockade on the enclave. According to Gaza Ministry of Health, 256 Palestinian protesters have been killed by the Israeli army and over 25,000 injured. The Israeli occupation army at dawn Saturday waged an airstrike on a Palestinian resistance post in the east of Deir al-Balah in central Gaza. No one was hurt in the aerial attack, according to a local medical source. The Israeli army claimed it launched the air raid after a rocket fired from Gaza landed in an open area south of its territory on Friday night. Earlier, Israeli soldiers killed one Palestinian young man and injured six others during their participation on Friday afternoon in March of Return rallies staged in Gaza border areas. The armed wings of the Palestinian resistance factions already warned the Israeli army of committing any folly against Gaza protesters and said they would respond to its crimes. 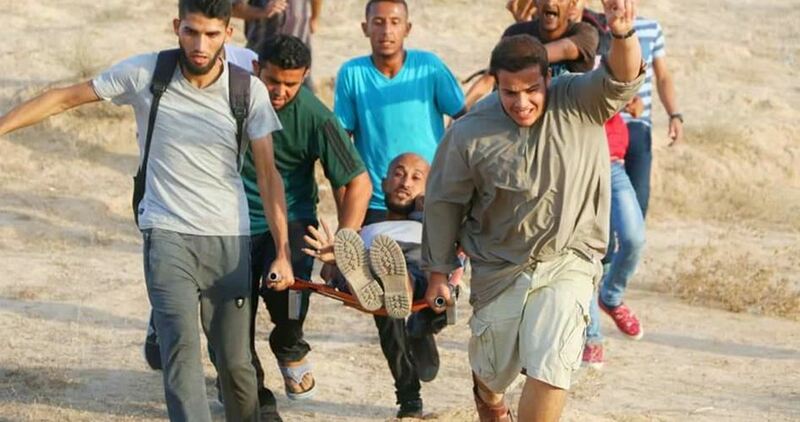 A disabled Palestinian youth was killed on Friday when the Israeli occupation forces (IOF) heavily opened fire at the peaceful protesters taking part in the Great March of Return on Gaza border. 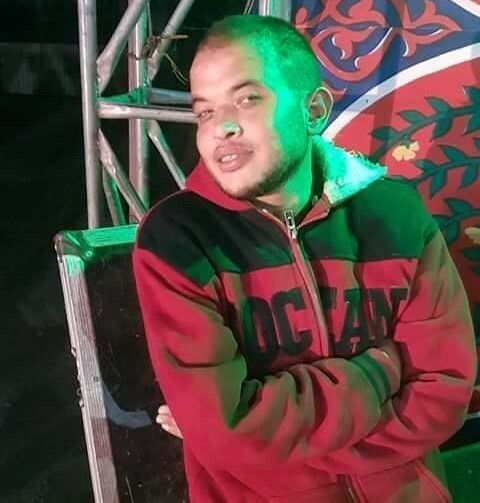 Gaza Ministry of Health announced that Karam Fayyad, 26, died moments after he was shot by an IOF sniper east of Khan Younis city in the southern area of the Gaza Strip. The PIC reporters said that sixe Palestinians were injured in the protests by live ammunition, while dozens others choked on teargas. Several Palestinian protesters suffered injuries when Israeli soldiers attacked the March of Return rallies that were staged in different border areas of the besieged Gaza Strip on Friday afternoon. A reporter for the Palestinian Information Center (PIC) said that five protesters suffered bullet injuries, including one in critical condition. Dozens also suffered from their exposure to tear gas fumes during the protests, according to the PIC reporter. The Israeli Occupation Forces (IOF) conducted on Thursday a limited incursion east of Al-Bureij refugee camp in the central Gaza Strip. 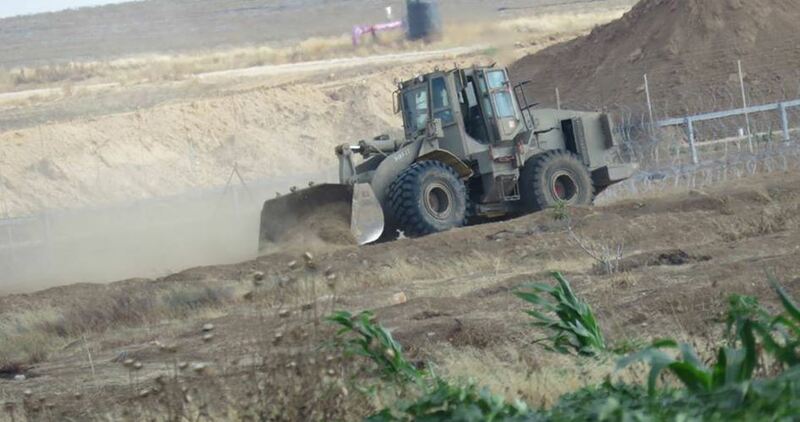 According to Quds Press, four Israeli bulldozers were seen destroying farmers' groves amidst heavy gunfire. 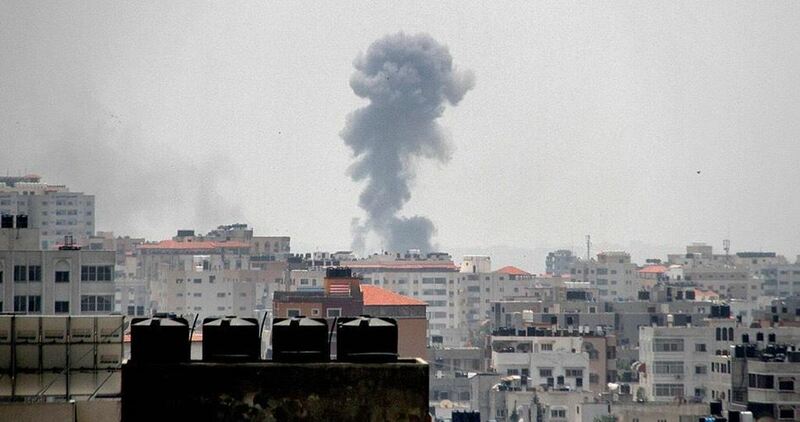 A similar armed attack was carried out east of the southern Gazan city of Khan Younis. 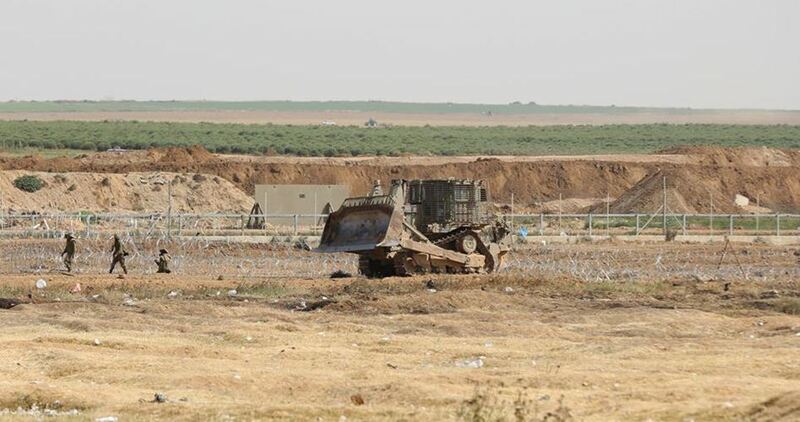 Several Israeli military bulldozers on Wednesday morning infiltrated into the north of Beit Lahia town, north of the besieged Gaza Strip. According to local sources, six armored bulldozers left the army base of Zikim and carried out a limited incursion into a northern border area in Gaza, where they embarked on leveling land. 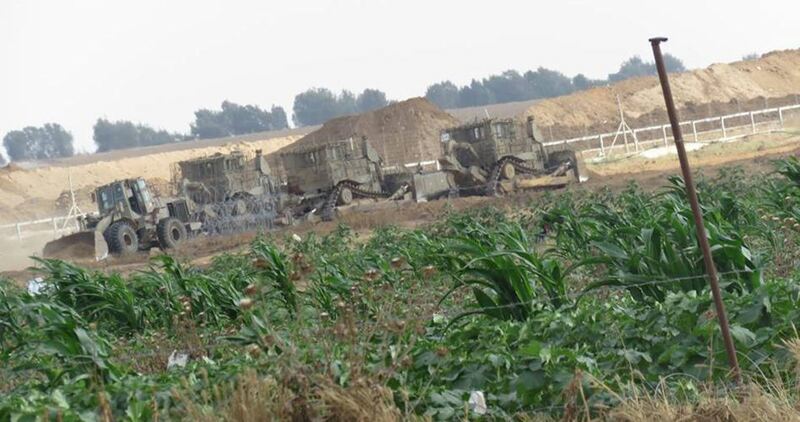 The Israeli occupation army on Tuesday carried out a similar incursion into Gaza to bulldoze land in the same area. Israeli military vehicles on Tuesday morning launched a limited incursion into the northern area of the Gaza Strip. Local sources said that five military bulldozers moved a few hundred meters into Beit Lahia city and started to level Palestinian lands neighboring the border fence. The Israeli army every now and then carries out incursions and shooting attacks on the border areas of the Gaza Strip, violating the ceasefire understandings reached between the army and Palestinian resistance groups in 2014. Israeli forces attacked, Monday, the Naval March protest taking place along the northern borders of the besieged Gaza Strip. The peaceful protests, taking place for 21 weeks, with the intent of ending the 11 year Israeli/Egyptian blockade on Gaza. Israeli forces injured at least 27 Palestinian protesters, Maan News Agency reported, 14 of whom were hit with live ammunition, while several others suffered the smothering effects of tear-gas inhalation, medical sources stated. 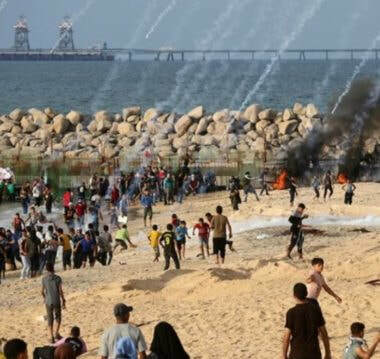 In the Mediterranean Sea, the Israeli Navy ships, also shot live fire, tear-gas, and rubber-coated steel bullets, at the Palestinian boats, taking part in the peaceful demonstration. Since 2007, the Gaza Strip has been under an Israeli and Egyptian blockade, via land, water, and sea, all prior attempts to lift the blockade, have been unsuccessful. The movement of nearly 2 million inhabitants of Gaza is severely restricted as a result of what Israel claims is security reasons. Two Palestinians were injured Monday evening after Israeli Occupation Forces opened their machinegun fire at a group of youths east of Khan Younis, to the south of Gaza Strip. The PIC reporter said that Israeli forces opened fire at a group of Palestinian gathered east of Kuza’a town, east of Khan Younis, injuring two of them. The two injured youths were immediately taken to hospital for treatment, he added. Israel routinely violated 2014 ceasefire agreement by opening fire at Israeli fishermen and farmers at Gaza borders. Israeli warplanes on Monday morning launched a series of mock raids toward the blockaded Gaza Strip. 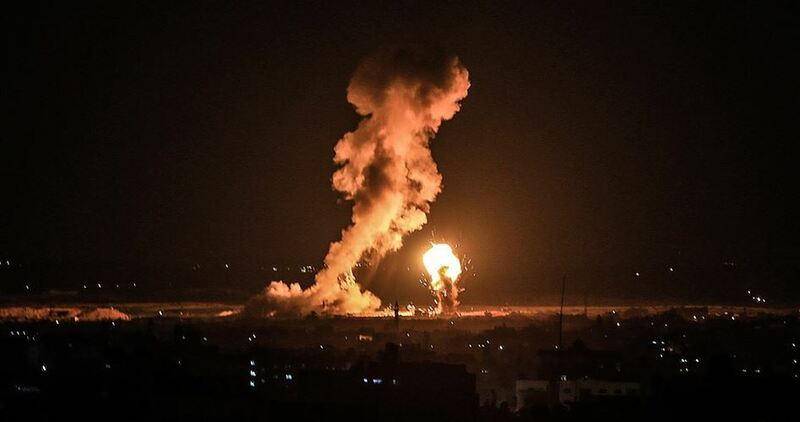 A PIC news reporter said mock air strikes were conducted in Gaza’s sky by the Israeli occupation army, resulting in a state of panic and terror among children and women. The mock raids came shortly after the Palestinian resistance vowed to take a firm stance in response to Israel’s simmering crimes against the Palestinian people and declared next Friday a decisive moment in reference to the mass protests set to be staged at the Gaza border. The Israeli occupation forces (IOF) on Sunday morning opened fire at Palestinian farmers, fishermen and a municipal vehicle in the Gaza Strip. According to local sources, Israeli soldiers opened fire at a group of farmers working their land in al-Taka area, east of Gaza City. The soldiers also targeted a sewage vehicle belonging to the municipality of Khuza'a town, east of Khan Younis. 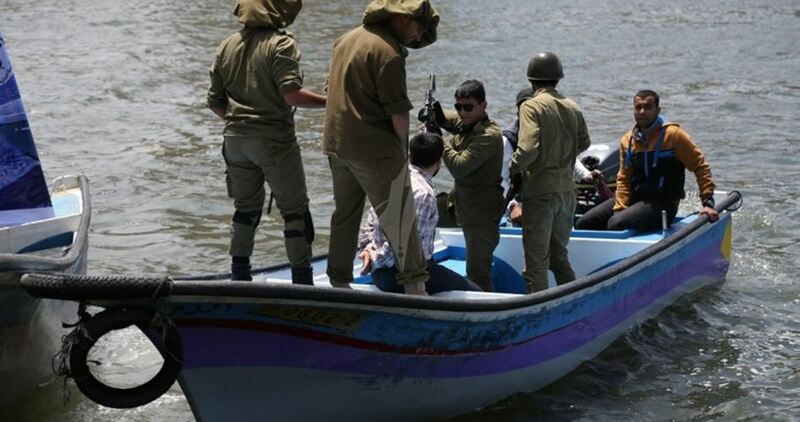 Meanwhile, Israeli gunboats chased and opened machinegun fire at Palestinian fishermen and their boats off the northern coast of Gaza. Luckily, no one was hurt during those Israeli gunfire attacks. 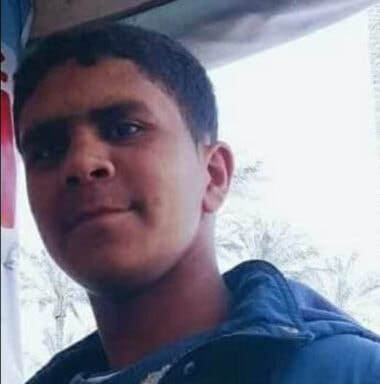 Dr. Ashraf al-Qedra, the spokesperson of the Health Ministry in Gaza, said that Ayman Monir Mohammad Shbair, 18, was shot in the abdomen before he received the urgently needed treatment by field medics, and was rushed to a local hospital in a very serious condition. On Friday, Israeli soldiers shot and killed three Palestinians, including one child and a man with a mobility impairment, and injured 115 others, including four medics and two journalists, during the Great Return March nonviolent processions. The slain Palestinians have been identified as Maher Atiya Yassin, 40, Abdul-Aziz Ibrahim Abu Sharia, 28, and Mohammad Mo’in al-Jahjouh, 16.